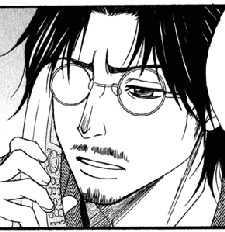 The Chairman of Teru and Kurosaki's high school, Andou is a former colleague of DAISY and Teru's brother. He initially appears as the substitute janitor for Kurosaki. While he appears as a comic character who often appears from odd, small, and dark places like vents and garbage cans and enjoys being beaten up, Andou is serious whenever matters concerning DAISY arise and acts as the group's leader during investigations. His nickname, Andy, came from Souichirou. Dengeki Daisy is a unique shoujo manga with a complex, heart-warming story, as well as a ton of comedy! Need a quick laugh? This list of 20 of the funniest quotes from the manga will surely do the trick!